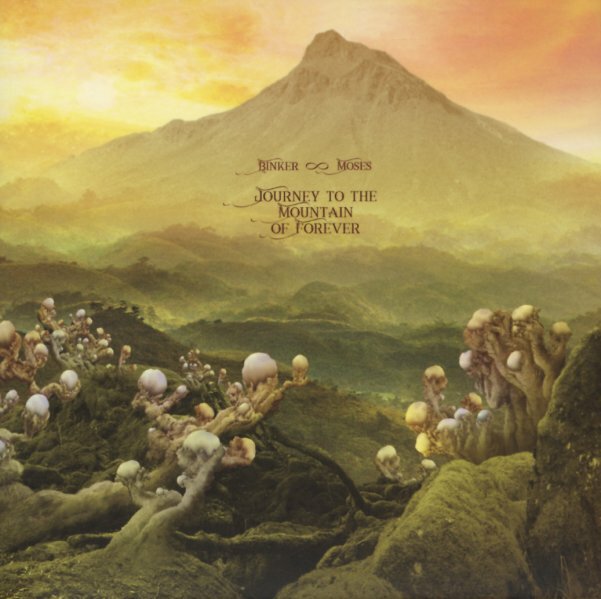 That's quite a cover for a record by Binker & Moses – especially as the duo's always quite down-to-earth, and not nearly the kind of proggish act you might expect from the album's image! Yet they've also expanded a bit this time around – not into a full-jamming group, as they mostly stick in their duo mode of Binker Golding on tenor and Moses Boyd on drums – but they also allow for some great guest work from Evan Parker on tenor and soprano, and Byron Wallen on trumpet – two musicians who show the heady company the duo can keep after just a few short years of recording! The album also features a bit of harp, tabla, and additional drums – but as on their wonderful debut, the core energy still comes from the combination of tenor and drums – used in a way that's raw and stripped-down, but still extremely powerful and moving. There's even more spiritual energy here than the first time around – and titles include "Reverse Genesis", "The Departure", "Trees On Fire", "The Shaman's Chant", "Gifts From The Vibrations Of Light", "The Voice Of Besbunu", and "Echoes From The Other Side Of The Mountain". © 1996-2019, Dusty Groove, Inc.